The biggest factors that haunt healthcare facilities and providers in today’s environment center around the expense and quality of varying capital investments. How can facilities run at peak capacity, preserving patient care, and providing positive outcomes with the unavoidable expenditure involved in the service and maintenance of medical equipment? In order to maintain their cutting-edge facilities, healthcare providers must ensure their medical equipment is reliable, sustainable, and can produce the best patient outcomes today and in the future. In order to provide patients top notch medical equipment without repair or maintenance delays facilities often enter into service contracts with either OEM, manufacturer provided, or third-party service provides. Often many OEM and manufacturer provided medical equipment service providers quickly try to claim that only they are able to provide proper post warranty services often bundling products, services, maintenance, and upgrades in packages to hold facilities hostage in using their service. What can healthcare facilities and providers do to combat the monopoly OEM and manufacturer provides service companies seem to dictate within the industry? There are alternatives to these medical service providers known as third-party medical equipment service companies. Companies such as Acceletronics and Radparts are medical equipment service and part providers that guarantee the best value and service for equipment and facilities. This is done through careful consideration of what medical facilities are considering when choosing a service provider. Careful consideration has been given in our service model to not only our reputation within the industry but our response time, access to parts, and performance. Your service contract with a third-party medical equipment service provider is only one aspect of what you are purchasing, uptime, and performance are the others. Your equipment is used to deliver patient care. 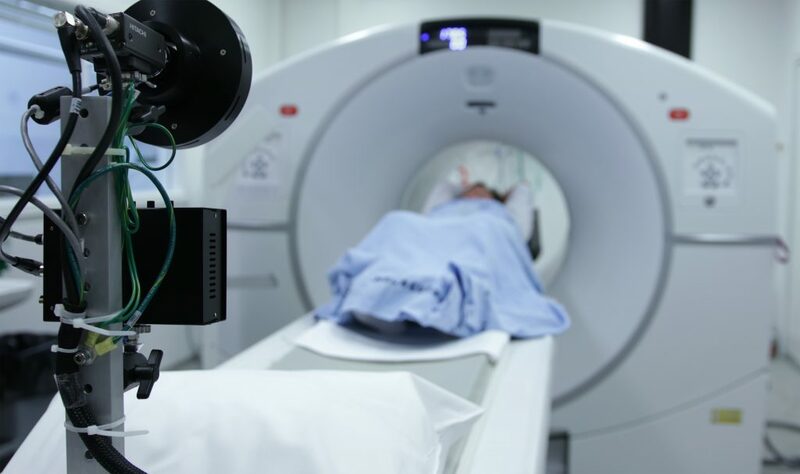 What you need is a guarantee that the medical service, maintenance, and repair provider of your facilities linear accelerators and CT scanners is in the best condition possible and that you are receiving the best value possible. Before you purchase any service contract for medical equipment it is important to consider what is most important. When creating a model for equipment service, repair, maintenance, and part sales the professionals at Acceletronics and Radparts have considered various industry quality standards, short- and long-term sustainability, and the total cost of equipment ownership. Quality Standards – Superior patient outcomes rest on the quality of service. One-way quality is measured is by using a standard put in place through the International Organization for Standardizations. The ISO 9001 Quality Certification was developed to assist customers in making informed decisions when quality is vital. The ISO 13485 is another quality certification however it is applicable exclusively to the medical device industry. Sustainability – Up to date information and new technology sustains your equipment thus service providers must be able to provide service personnel with on-going, proper training. Before signing a contract with a service provider ask about training programs personnel are required to participate in. It is important quality training occurs regularly to meet or exceed OEM standards to provide valuable services without downtime. Total Cost of Ownership – Radiation departments experience great pressures to reduce expenses. Not only do facilities need to concern themselves with the purchase price but also maintenance expenses, and software upgrades. Often facilities think bundling these services is the most appropriate choice however, this may not always be the best choice when negotiating. It is important to pay only for those services that you will use. Radparts is the world’s largest independent distributor of OEM replacement parts for Linear Accelerators and Radiation Oncology equipment. Radparts provides high quality, user friendly, low cost parts support for linear accelerators and radiation equipment. More information can be found at https://www.radparts.com/. There is quite a balancing act that goes on within healthcare facilities when it comes to whether or not medical equipment should be repaired or replaced. Unfortunately there is not one answer to address the issue. Decisions for repairing or replacing medical equipment such as linear accelerators and CT scanners needs to be done on a case by case basis. The most important factors being how the decision affects patient care and patient outcomes. Many professionals involved in the decision to replace or repair medical equipment find weighing the costs and patient interests to be a difficult task. Facility decision makers need to determine the risks vs the rewards in how long to keep large scaled medical equipment in action. Preventative and corrective maintenance must be evaluated on a per machine basis to ensure the best decisions are made. Replacement Parts Are Scarce: Replacement parts for LINACS or CT scanners aren’t common off the shelf items that you can find at any medical supply store. In fact, with manufacturers in a race to keep up with the latest and greatest technologies in equipment they are constantly phasing out older equipment which makes finding parts to repair medical equipment harder and harder to find. This alone makes it scary to rely on older equipment for critical patient care. The Cost of Service: If medical equipment is not maintained or repaired by in house technicians’ facilities must look at the expense of service plans. Another factor is that as equipment ages, replacement parts are harder to find if not obsolete. Patient Care Will Be Disrupted: When large scaled equipment starts to break down on a regular basis and interrupts patient care this wreaks havoc with patient care. If this is on-going, it can greatly affect your service and dissatisfied patients will seek care elsewhere. On-Going Equipment Failure: Sometimes the equipment that you have is a giant lemon. If it is found that your device is failing time and time again it may make sense to replace it. Sometimes there is more liability in keeping a piece of equipment around that continues to fail than starting over. There is a lot that goes into replacing a large scaled piece of medical equipment like a LINAC system, so it is crucial to have a plan in place for when the need arises. Not only does new equipment need to be purchased, the old equipment needs to be moved out to make room for the new. It is important to evaluate and reevaluate equipment frequently in order to avoid costly surprises. This is especially true in smaller facilities with stricter budgets. What is the typical lifespan of the equipment? Are we near the end or at the beginning of the equipment’s lifecycle? Is it going to be cheaper to replace the piece now or to repair it? Are repairs feasible and if so, are they cost effective? When repaired will the equipment still be able to provide the high patient care standards we desire? What is the cost of removing the old equipment? Do we see maintenance costs of the older equipment increasing? Often the choice to purchase a new piece of equipment verse repairing an older piece of equipment has to do with the cost of maintaining the older unit. Medical facilities and clinics figure if they are spending a couple of thousand dollars to maintain it then it is most likely better to replace it with a new piece. When it gets too expensive to maintain it is time to purchase a new piece of equipment. For larger pieces of equipment like linear accelerators, CT scanners, and other radiation therapy equipment parts may start to become obsolete. When this occurs, parts for older equipment LINAC become quite scarce. It is important for facilities to ensure there are enough replacement parts available to maintain their equipment because the parts won’t be available any longer. It doesn’t mean that facilities need to plan for new equipment in the next year but that they should start planning for alternative part sources and planning for new equipment. Make sure you are totaling up the annual costs of medical equipment repairs. Costs for parts and repairs can change as parts become scarce. Obviously, manufacturers of large scaled equipment want you to buy new sooner rather than later while the finance people within your facility want you to maintain the equipment as long as possible, especially when technology has not changed a great deal. Obviously, the goal is to make sure you are not spending valuable resources unnecessarily. Medical facilities should find various resources in which to seek opinions on equipment and whether it should be replaced or not. Finding a solid medical repair and maintenance partner, such as Acceletronics and Radparts when determining whether to replace or repair an item, as well as what to do with older pieces when purchasing new ones. A linear accelerator is a large scaled piece of medical equipment that is used to treat cancerous tumors. It does this through a process of high energy x-rays that conform to the shape of a tumor and emits a radiation beam that destroys cancer cells while trying to spare the surrounding healthy tissue. Linear accelerators have a number of features that are built in which works to ensure the patients safety. These measures prevent dosages higher than what the patient has been prescribed to be given. When you are schedule to receive radiation therapy using a linear accelerator, your oncologist will deliver the treatment that was planned between them, the dosimetrist and your physicist. The oncologist will double-check your treatment plan each and every time before they begin treatment. This ensures quality control and ensures that your treatment is delivered exactly as it should be. Linear accelerators delivers external radiation therapy for patients with cancer. The LINAC is used to delivery treatment on a variety of areas throughout the body. High energy x-rays are delivered directly to the tumor using a radiation beam that is delivered from the linear accelerator. The treatment is designed to shrink and destroy the cancerous tumor without harming the healthy tissue that surrounds the tumor. LINAC is used to treat cancerous areas throughout the body using all of the conventional radiation techniques including: IMRT, IGRT, VMAR, SRS, and SBRT. Linear accelerators work using technology similar to a radar. In the “wave guide” a part of the accelerator, electrons collide with a metal target to produce high-energy x-rays. The high-energy x-rays exit the machine in the shape of a patient’s tumor. These beams are shaped by a multileaf collimator that is within the head of the linear accelerator. Patients are put onto a moveable treatment couch that is positioned properly and are asked to lie still. It is important to note that the treatment couch can move up, down, right, left, in, and out. The radiation beam comes out of the gantry, part of the accelerator, that can be rotated around the patient. These two systems, working together, can deliver radiation in a variety of angles. Linear accelerators are operated by a radiation therapist. There are a team of experts who work together to create a treatment plan. A radiation oncologist, a medical physicist, and a dosimetrist work in conjunction of one another to come up with a treatment plan. The radiation oncologists prescribes the correct treatment volume and dose. A medical physicist and dosimetrist determine how your prescribed dose is delivered and calculated. Patient safety is insured in a number of ways. Before treatment is given the plan is developed and approved in collaboration with your team. This plan is continually reviewed for quality assurance. Safety measurements are built directly into the accelerator that does not allow a higher dose of radiation to be delivered to patients. Before a patient is treated the radiation, therapist will perform unilateral checks across the LINAC. More thorough linear accelerator checks are done monthly and annually. Specialized companies are available for hire that maintain, service, and repair linear accelerators. It is important to have access to LINAC service providers and LINAC parts for repair. The less downtime a facility incurs the higher the quality of patient care they can provide. Patients are supervised throughout treatment using monitors and microphones that in the room. This allows the patient and radiation therapist to communicate. The position of the radiation beam are continually checked to ensure the positioning has not moved from the original treatment plan. The safety of the staff and patient are crucial when using linear accelerators in treating cancerous tumors. The LINAC is installed in a room all by itself. The walls of the room are made from lead and concrete to eliminate the high energy x-rays from escaping and exposing people outside of the room. Radiation therapists do not tun on the LINAC until they are safely outside of the treatment area. Linear accelerators will only emit radiation when the machine is in use. Anyone that is starting a new medical treatment has a right to be a little nervous. This article is being written to help ease the anxiety of cancer patients that are scheduled for radiation therapy. Fear comes because of the unknown and common misunderstandings patients have about radiation. Radiation therapy is delivered using a large piece of medical equipment known as a linear accelerator. With maintenance, repairs, and part replacement linear accelerators can deliver radiation to an average number of patients for between five and ten years. Below we will answer the most commonly asked questions about radiation therapy using a linear accelerator, LINAC. Thankfully radiation therapy is not painful. Patients often report that they do not experience any sensation when the radiation is delivered from the LINAC. A few patients have reported that they feel a slight warm tingle in the area where the LINAC is delivering radiation. The skin in the area where linear accelerators deliver treatment can become dry and itchy over time. This can cause some discomfort but definitely not enough to stop treatment. Skin reactions due to radiation can be treated with over the counter ointment. Does Radiation Therapy Cause Me to Be Radioactive? Radiation therapy only makes patients radioactive when internal radiation is given. Patients are radioactive while the radioactive materials are in them. These patients are secluded in a private hospital room. Patients that are treated using a LINAC through external radiation, will not be radioactive at all. External radiation delivers a precise dose of radiation to the cancerous tissues instantaneously. With external radiation the radiation does not linger. Once the LINAC is turned off the radiation isn’t an issue. In external radiation, patients can continue on their normal routines without worry. Will I Lose My Hair During Radiation Therapy? Radiation is considered a localized treatment which means that it focuses directly on the area being treated. This being said you can expect hair loss in the area of treatment however unless treatment is done on your head you shouldn’t experience hair loss. Confusion occurs because people associate radiation and chemotherapy as one in the same therapies. The difference is that chemotherapy is a systemic treatment which means it affects the entire body. During chemotherapy there is a likelihood that patients will lose their hair. Should I Expect to Experience Nausea and Vomiting? Radiation therapy doesn’t usually cause patients to feel sick. If treatment is given in areas such as the liver, brain, or gastrointestinal tract patients have more of a risk to experience nausea. Also, patients that are going through chemotherapy and radiation at the same time there is more of a risk for feeling ill. Does It Cost Money to Have an Old Linear Accelerator System Removed? This is a frequently asked questions when healthcare centers are starting the process to budget for the purchase of a new or refurbished Linear Accelerator. It is important to not be surprised when it comes to financial obligations within a medical organization. The answer is Yes, there is a cost to have old LINAC systems removed from your facility. There is a cost to have new equipment installed as well but that is often combined with the price you pay for the equipment itself. Although linear accelerators are a machine that offers a priceless treatment in the fight against cancer with lifesaving radiation beams treating thousands of patients for countless number of years, they do become worthless. Like most machines, over time the labor and linear accelerator parts cost more to repair the LINAC machine than it is worth. When this occurs, the machine is worth nothing and needs not only to be removed but also properly disposed of. Another element to add to the mix is the introduction of new technology. This is a reoccurring issue that is seen in medical equipment. Older machines cannot be updated to run properly with the latest and greatest treatments and therefore simple become worthless. Yep, even some LINAC machines with life left in them become obsolete to healthcare providers promoting the latest and greatest treatments. Although these machines are worthless to these facilities they can often be moved and utilized by other facilities such as veterinarians, possible dermatologists, and of course in poverty-stricken locations that would otherwise go without. When a linear accelerator has been deemed to have little to know value, meaning no one is willing to pay you for it, your facility will face the cost of removal. This cost includes professional and safe dismantling, removal, and disposal of the LINAC. This process often requires the system to be loaded onto a crane as they weigh several thousand pounds. This should be done by professionals to prevent catastrophe. After the machine has been removed from the facility it will be tested for radioactivity and disposed of once they are cleared. At the end of the day, when all is said and done the cost to have a large scaled piece of medical equipment such as a linear accelerator removed, dismantled, and disposed of ranges between $5,000 and $25,000. Author adminPosted on January 11, 2019 Tags Elekta Replacement Parts, Linear Accelerator Replacement Parts, Philips Replacement Parts, Siemens Replacement Parts, Varian Replacement PartsLeave a comment on Does It Cost Money to Have an Old Linear Accelerator System Removed? There are many parts and components that must be considered when servicing and repairing linear accelerators and other types of radiation therapy equipment. Consider the inner workings of LINAC systems and the process they go through to deliver targeted radiation and you will see why professional servicing and maintenance is required. External radiotherapy is done with the use of specialized radiation therapy equipment. This equipment is designed to aim beams of radiation at the source of cancer. The most common types of radiation being through the use of high energy x-ray beams. Other types can include particle beams, such as protons and electrons. These beams are used to obliterate the cancerous cells within the are being treated while preventing radiation damage to healthy cells. Radiotherapy works by harming the DNA within the cancerous cells. The DNA is the genetic code which controls the behavior of the cells. Radiotherapy damages DNA directly on contact or creates charged up particles to damage the DNA. This treatment should stop the growth or kill the cancer. When cells die your body will break them down and get rid of waste substance. Normal cells could be damaged but usually repair themselves. Before treatment can begin your doctor will want to go over the short- and long-term side effects. Most will be temporary and can be regulated with medication. The team that treats you will use a combination of images including x-rays, CT scans, MRI scans, or PET scans. They will be used to monitor the size of the tumor and measure the shrinkage that is occurring. Radiotherapy machines, like linear accelerators, are very large and can look extremely intimidating. A LINAC uses electricity in creating radiotherapy beams. The machine will never touch you and the radiation will not be felt. Some discomfort can be expected from the side effects of treatment but can be controlled using medication. For radiotherapy to work the radiation must cover the entire cancerous area and the surrounding border. Physicians will give the lowest dosage possible to prevent damage to the health tissue surrounding the cancer. This will reduce the risks of side effects to the healthy tissue. The dose of radiation you are prescribed will be divide up into small doses known as fractions. Instead of one large dose, these smaller doses allow the same amount of radiation overtime which helps to alleviate the side effects and allows the healthy tissues time between treatments to heal. Radiation can be given as palliative care which is given to alleviate the pain associated with cancer or as a treatment to cure the cancer. In our first installment on treating cancer with radiation we took a look in to exactly what radiation therapy was, how it worked, and how treatment is planned and delivered. In today’s installment we will look deeper into what patients can and cannot doing during treatment, how long treatment sessions take, what to expect, and potential side effects. During treatment are there particular things I should or shouldn’t do? Radiation therapy is performed using a linear accelerator. Some Skin tumors require a superficial x-ray unit, however for the most part radiation is delivered using a LINAC system. You will be required to lay still while on the table/couch underneath the linear accelerator while the treatment is occurring. You will feel nothing at all during the procedure. Many times, you don’t even know that treatment has occurred. A myth has circulated that you will be radio active after radiation therapy however this is incorrect. There is not a possibility of this at all. Treatment can range from a single treatment, one time to multiple treatments a week for several weeks. This depends on a number of different factors including the type of cancer, where it is located, and how it is responding to treatment. Treatment is most often done during the week. The duration of your session will vary as well depending on the LINAC system that is used, and duration set in your treatment plan. Certain linear accelerators operate faster than others and certain cancers require slow and steady treatment. Your radiation oncologist will go over your specific case when reviewing your treatment plan. During treatment it is important to drink plenty of fluids while eating regularly. A small, balanced meal several times a day will help with energy loss. It is also important to keep up on your regular, daily hygiene regimen. Try to avoid extreme foods of any nature, too spicy, too hot, too cold, and so on are not desirable when receiving treatment. It is also important to avoid extreme sun exposure during radiation as your skin will be more sensitive to burns. What side effects should I be prepared for? Nausea: Depending on where treatment is given you may feel nauseous during or after treatment. (This could also be nerves) Whatever the case symptoms can easily be treated with the use of anti-nausea medication. Diarrhea: As with nausea, diarrhea can be treated with medicine. Depending on severity a dietician can help prepare your diet to prevent future occurrences. Sore Throat/Mouth: If you are having treatment done on your mouth or throat you can experience some tenderness. Your oncologist will offer suggestions to help prevent chewing and swallowing difficulties. Increased Urination: Treatment in the lower abdomen and pelvic region can lead to frequently needing to relieve yourself. To prevent discomfort be sure to stay well hydrated by drinking extra water throughout the day. Take note of drastic changes which could be signally an infection verse side effects from treatment. Hair Loss: This too is localized to the treatment area. Hair loss may occur on your chest, arms, legs, face, and head depending on where the radiation treatment is performed. Can I continue to work? As stated earlier, keeping your routine as normal is possible is key. Of course, each treatment plan is different, and your oncologist may recommend rest after treatment. If this is the case, you will want to follow their specific instructions. Once treatment is finished any side effects and symptoms should subside within a few weeks. Will I need to follow up? After radiation therapy is performed you will need to follow up with your physician. In most cases, the first time you meet after treatment will be between four and six weeks. This is not true in all cases and therefore it is important to work with your doctor to make these arrangements at the time of or before your last treatment of radiation. What is radiation therapy anyway? Radiation therapy is one of the most common ways to treat cancer. Depending on the type and nature of cancer being treated will depend on what method radiation is delivered to your tumor. Most commonly, a linear accelerator is used to deliver external beam therapy. LINAC machines deliver radiation directly to your tumor, externally. How does radiation therapy work? When radiation is delivered using a linear accelerator it is delivered to both cancerous cells and healthy cells. Radiation affects cancerous cells more than healthy cells. The highest possible dose of radiation is delivered to kill off the cancerous cells. Smaller doses can be delivered when the aim of treatment is to reduce the size of the cancerous tumor and relieve the symptoms. Who plans and delivers your treatment? Cancer oncologists will create a plan of treatment for patients. When the treatment that is planned requires radiation, a radiation oncologist will oversee the treatment and delivery of radiation. A team of cancer experts including nurses, specialists, counselors, dieticians, and assistants will help guide you throughout your treatment. How is your treatment planned? All cancer treatments are designed with the patient, the type of, and size of cancer. Radiation therapy is no different. Before radiation treatment is given patients will visit the facility to go over the plan of treatment that has been designed specifically for them. Radiation oncologists and radiation therapists will develop a plan based on x-rays and scans from simulators. Marks are then placed in strategic locations to pin point the areas to be treated. These marks will be placed each and every visit as the cancerous tumor changes. For cancers that are in the head, a guidance mask is created from a mold of the patients heads and is used to stabilize and pin point treatment due to the sensitivity of the area. Does radiation therapy require hospitalization? Radiation therapy is most often done on an outpatient basis however in some situations your radiation oncologist may recommend that you be admitted if they think it would enhance the success of your treatment. This is rare and usually does not occur as long as you are able to travel to and from the hospital for treatment. What tests are performed in conjunction with radiation therapy? Over the course of radiation treatment your oncologist will want to perform a number of follow up scans and x-rays to make sure the cancer is reacting to the radiation as expected. Occasionally additional lab work is required and is considered normal and nothing to worry about. In our next installment on radiation therapy we will look deeper into what you can and cannot do during treatment and ways to combat side effects and more. There are a number of factors that hospitals, medical facilities, and healthcare organizations must consider before they replace equipment besides age. Each year companies could potentially waste thousands of assets by focusing solely on the age of their equipment. It wasn’t long ago that healthcare facilities were zealous to add all of the latest surgical equipment to their organization. From robotic surgery systems, linear accelerators, and other large scaled medical equipment were installed to keep physicians happy and be competitive. However, in recent years budgets have gotten smaller and funds have become more restricted and facilities are seeing that equipment can’t just be discarded on a whim or purchased without advanced planning. Instead equipment needs to be repaired or refurbished and kept at peak performance for longer and a strategic approach needs to be taken to replace not only large scaled equipment but also universal equipment such as beds, linens, and so forth. When the above objectives can be achieved, a reduction in costs can occur with an increase in the quality of care patients receive. Instead of the reactive strategy that medical facilities have embraced in the past more proactive approaches are being embraced. When purchasing new or refurbished medical equipment in a proactive approach allows leaders to embrace the situation over a period of time verse the reactive approach which tends to be more mission critical. Being proactive allows financial leaders in medical facilities to work with clinical leaders to plan for the addition of new equipment whether it is brand new or refurbished. When the replacement of equipment no longer is a life or death situation a better decision for the facility can be made. Proactive planning in medical facilities allows for better outcomes overall. Financial teams and clinical teams can work together, armed with historical data, to have meaningful conversations instead of hypothetical ones. This allows better decisions to made for everyone throughout the facility from administrators and physicians to patients and care givers.